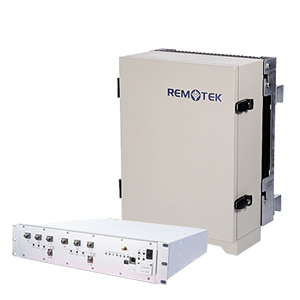 Remotek’s Fiber Optic Repeater is used for mobile coverage extension for indoor/ outdoor long distance applications. The Fiber Optic Repeater combines ease of use with unsurpassed performance resulting in an exceptional value for any cost-conscious mobile operator who wants the most feasible solution at the best price. 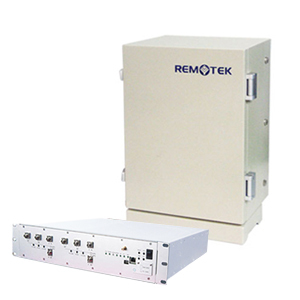 The Fiber Optic Repeater consists of a Master Unit (MU) and Remote Units (RU). The MU is designed to be easily mounted into a 19” rack at the BTS location while the RU can be installed up to 20 km away from the MU over a fiber link. RF signal is coupled from the BTS, therefore providing a stable input signal to the MU. Without the donor antenna, the problem of isolation is totally avoided. The Fiber Optic Repeater also has the Intelligent Mode embedded. Hence, the interference can be reduced continuously. The solution of Fiber Optic Repeater is cost-effective for coverage extension without the need of implementing more BTS sites. It can be applied to much larger areas including large public building, hotels, parking lots, hyper markets, tourist spots, tunnels and rural areas.